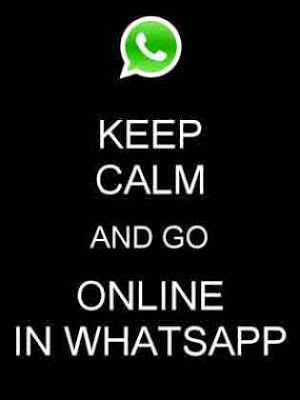 Today I will guide you to make your Whatsapp Always Online. There is a million of people in the world and many of them use their mobile to connect with others. Among those people, many of them are using Whatsapp as a primary chat application on their iPhone, Android, Windows and Blackberry. There is no external app which makes online. You just make some little simple steps to get it. make whatsapp onlineThis method is working on all iPhone, Android, Windows and blackberry Operating system devices too. First check it out you have the latest App on your mobile/tablet. Then go to Settings > Display > Screen Timeout. This option may be different on your phone. But, you have to select the “Screen turns off automatically” option. Now your mobile screen will never go to sleep, unless you press the lock button. Then switch on the Data network or WiFi as per your need. After that, go to the Whatsapp Application. Now your number stays online. Just leave your mobile in this way. Don’t close the app. Your screen stays on, then your “Last Seen” also stays online. Make sure you have the latest App on your iPhone/iPad. Then go to Settings > General > Auto lock. Now select the “Never” option. After selecting the option, your mobile screen will never go to sleep, unless you press the lock button. Then switch on the mobile Data network or WiFi as per your need. All the steps you do is same as in Android. You are just making your phone to not auto sleep. Do share in comments part in case if you face any issues or any errors in this method. Your troubles, tips or any other concerns will be clarified and the correct answer to your difficulty will be given to your comment as shortly as achievable. If you face any type of problem, difficulties or have any other problem that may possibly be hard to comprehend how to do it with this information, then do not stop to inform us.